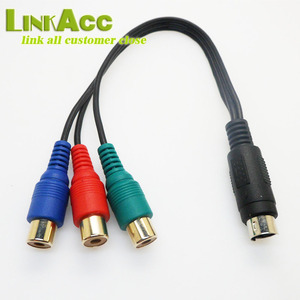 Scart connector is a type of a connection between two video sources. 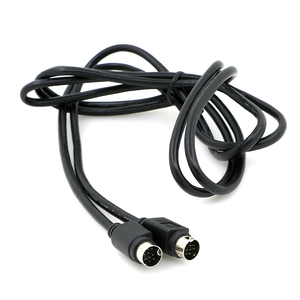 This type of a connection is mainly used in Europe and Asia. Blister, bubble or slide blister available, carton. 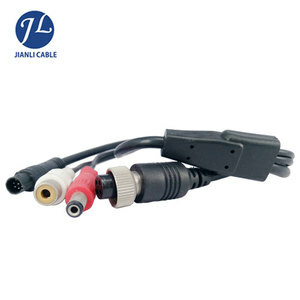 8PIN MINI DIN Waterproof AV Cable for Security Drive Car Camera System skin material for the environmental protection PVC wire and connector color are black, with pure copper as a conductor, transmission speed, customers can follow their own requirements to design the diameter, length can also be customized according to customer requirements. 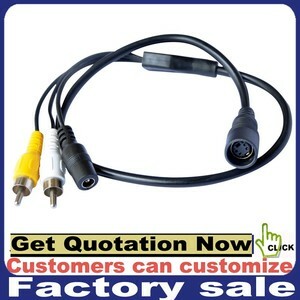 Application 8PIN MINI DIN Waterproof AV Cable for Security Drive Car Camera System Application: JIANLI Factory 8PIN MINI DIN Waterproof AV Cable for Security Drive Car Camera System productive process. 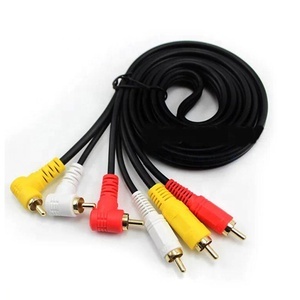 8PIN MINI DIN Waterproof AV Cable for Security Drive Car Camera System JIANLI Certificate: Packaging & Shipping 8PIN MINI DIN Waterproof AV Cable for Security Drive Car Camera System SHIPMENT DETAILS: Payment Terms BY T/T; PAYPAL; L/C; Western Union etc. Shipping FedEx DHL UPS TNT HK POST CHINA POST Payment T/T PayPal Western Union Escrow 30% Deposit in Advance and 70% Balance Before Shipment By Large Order After Sales Service Replacement of defective items guaranteed for the first time after receiving your photos of defective parts Any question please contact our saler for helping. Factory Experienced workers work 8 hours a day With 8 years history Large quantity trade capability New machines ensure our delivery R emark: 1) We can make sample production according to your drawings and specifications, so please feel free to contact us for samples. 2) If possible, please provide us a drawing or specification table for any product so that we can greatly improve our work efficiency and save your time and energy. 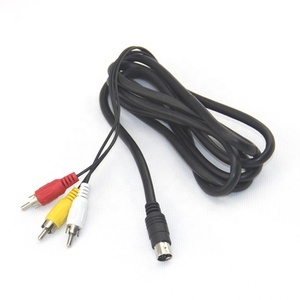 4 Pin Mini Din Male Rca Av Male Cable For Video And Audio And 12v Dc. Lulink guarantees to offer safer and more reliable products with reasonable prices. 9.Special discount and protection of sales area will be provided to our distributor. We can make OEM and ODM items for you as long as you can tell us your idea or provide pictures. Dongguan Zechao Hardware Electronic Technology Co., Ltd.
3. What&rsquo;s the price terms can you offer for us9 We can accept EXW, FOB, CIF and so on. 4. Do you have any certifications for your products9 We have UL, RoHS, certifications for our products. 5. Where is your main market for your products9 Most of our products are exported to Southeast Asia, Africa,Mid East,Europe and the United States. 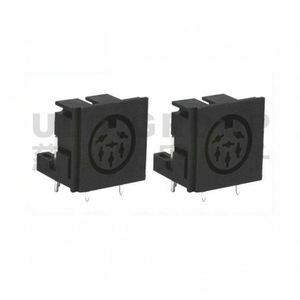 * They feature durable molded connectors with thumbscrews for a secure connection. * Our products are applied in digital cameras, HDTV, computers and so on. * Feeling free to contact with us if you are interested in our products. 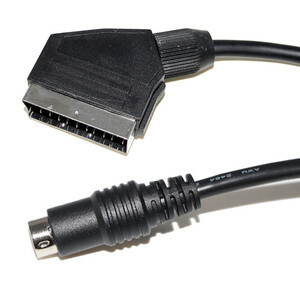 Factory supply custom mini DIN cable Feature: 1. 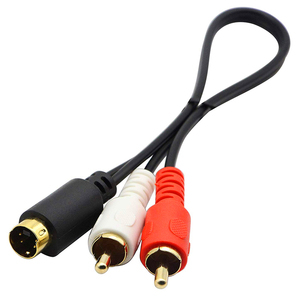 DIN to RCA Splitter cables, 2. Varied colors of the jacket for option. 4. We can use local or original connectors as per you demand 5. Products packages must be considered based on the particular project About Totek: Totek manufactures custom wire harness & cable assemblies being fully in compliance with the exact standards of industries as diverse as automotive, consumer electronics, industrial, computer and telecommunication systems. We are also a capable manufacturer of high quality insulated electric wire and cable suitable for low-voltage communication applications, combining highly flexible, fine wire copper stranding with a variety of jacketing and insulating materials, so to enhance our cable assembly services flexibility and provide customers the best offer.